When it comes to designing luggage that’s built to deal with our globe-trotting modern lives, Australia’s own Paklite know their stuff. Every piece of Paklite luggage is built with care, crafted to cope with a lifetime of frequent flying. 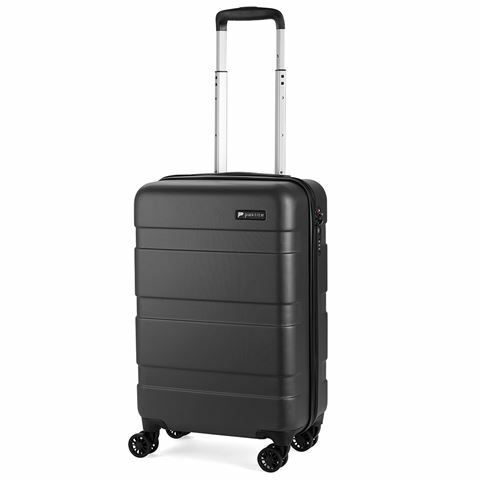 The Orion Luggage Collection is Paklite at its best – from the lightweight body that allows you to coolly wheel your cases through the airport as if they weren’t crammed with all of those great buys from your last destination – to the trouble-free zip closure that never gets stuck. No matter whether you’re taking a ferry ride around the Greek Islands or flying interstate, Paklite will never weigh you down. Lightweight ABS exterior construction with polyester on the interior. Interior compartments allow you to fit more in. Lightweight aluminium multi stage locking trolley system with retractable handle. Zippered main compartment with internal packing straps, a mesh pocket on the underside of the lid, smaller mesh pocket and two large pouches for documents. A built-in TSA-compatible combination lock secures the main compartment. A TSA lock works in exactly the same way as a normal combination lock, but when you travel in America, it allows security staff at airports to use a master key to open your bag should they need to inspect it, without the need to damage your luggage. Internal Dimensions: 35cm (l) x 52cm (h) x 21cm (w). External Dimensions: 35cm (l) x 57cm (h) x 21cm (w).